Feel confident on your morning run on the beach, or afternoon volleyball with the squad! 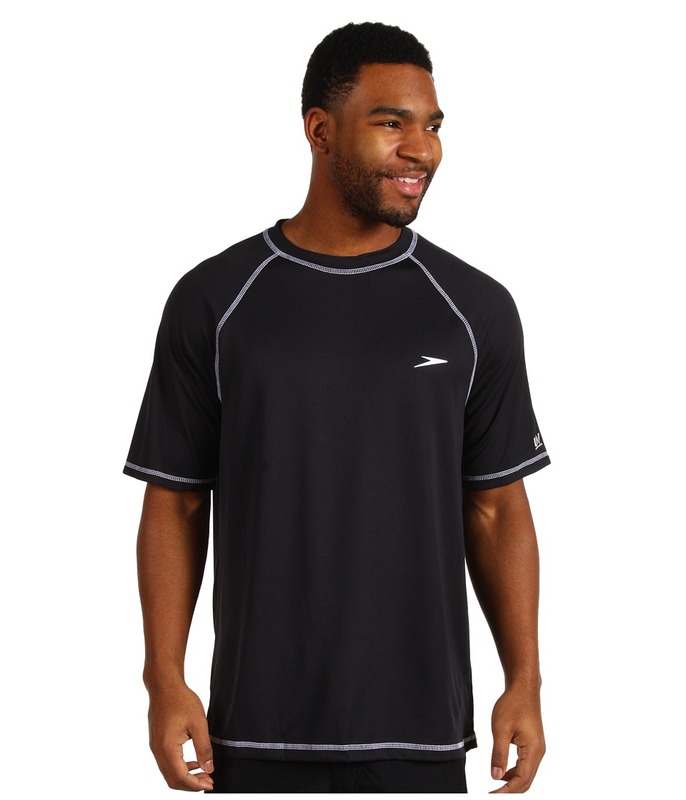 Improved fit so over-stretched fabric does not decrease the UPF rating. VaporPLUS fabric repels water and dries in record time. UV Block The Burn technology utilizes a tighter knit, improved fit, and increased coverage to deliver UPF 50+ protection. Elastic waistband with inner drawstring. Side hand pockets. Zippered pocket at rear-right. Inner-mesh briefs provided enhanced coverage and support. Notched leg openings. 100 percent polyester Lining: 100 percent polyester. Machine wash cold, tumble dry low. Imported. Measurements: Waist Measurement: 30 in Outseam: 18 1 2 in Inseam: 7 1 2 in Front Rise: 13 in Back Rise: 16 1 2 in Leg Opening: 26 in Product measurements were taken using size MD. Please note that measurements may vary by size. If you~re not fully satisfied with your purchase, you are welcome to return any unworn and unwashed items with tags intact and original packaging included. Whether you go for a run or play a game of volleyball, you~ll want the performance of Speedo by your side. UV Block The Burn technology utilizes a tighter knit, improved fit, and increased coverage to deliver UPF 50+ protection. Basic volley short with elasticized waistband. Interior adjustable drawcord. Mesh lining. Logo embroidery near left hem. Notched side seams. Solid colorway for a striking look. 100 percent polyester taslan. Machine wash cold, tumble dry low. Imported. Measurements: Waist Measurement: 28 in Outseam: 14 in Inseam: 4 in Front Rise: 11 in Back Rise: 16 in Leg Opening: 26 in Product measurements were taken using size MD. Please note that measurements may vary by size. If you~re not fully satisfied with your purchase, you are welcome to return any unworn and unwashed items with tags intact and original packaging included. Make a splash without ever entering the pool in this chic Speedo suit. Conservative cut provides greater coverage in the leg, neckline and backside for increased modesty. Designed to last longer, Endurance+ is a 100 percent chlorine resistant fabric. Every suit created in Endurance+ is quick drying and engineered to retain its shape swim after swim. Endurance+ is exclusive to Speedo. Speedo Core Compression has strategically placed mesh compression fabric to flatter your shape. Features a V-neckline, wide shoulder straps, and a scoop back. Sewn-in soft cups provide support for larger busts and shaping for petite frames. Shirred side seam detailing. Flatlock seams reduce chafing and increase comfort. Fully lined. Brandmark at bottom right hem. Body: 50 percent polyester, 50 percent PBT polyester. Lining: 100 percent polyester. Power Mesh: 90 percent nylon, 10 percent spandex. Hand wash cold, line dry in shade. Imported. If you~re not fully satisfied with your purchase, you are welcome to return any unworn and unwashed items with tags intact and original packaging included. Make a splash without ever entering the pool in this chic Speedo suit. Conservative cut provides greater coverage in the leg, neckline and backside for increased modesty. Designed to last longer, Endurance+ is a 100 percent chlorine resistant fabric. Every suit created in Endurance+ is quick drying and engineered to retain its shape swim after swim. 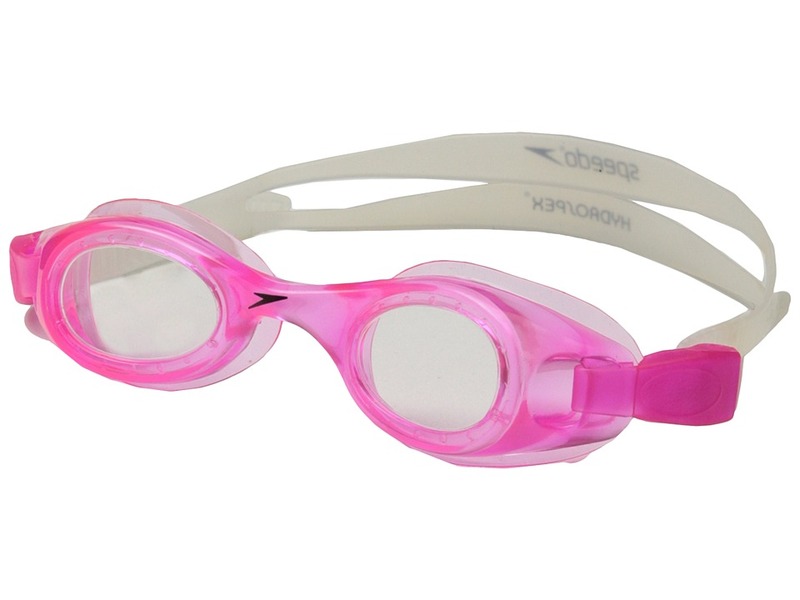 Endurance+ is exclusive to Speedo. 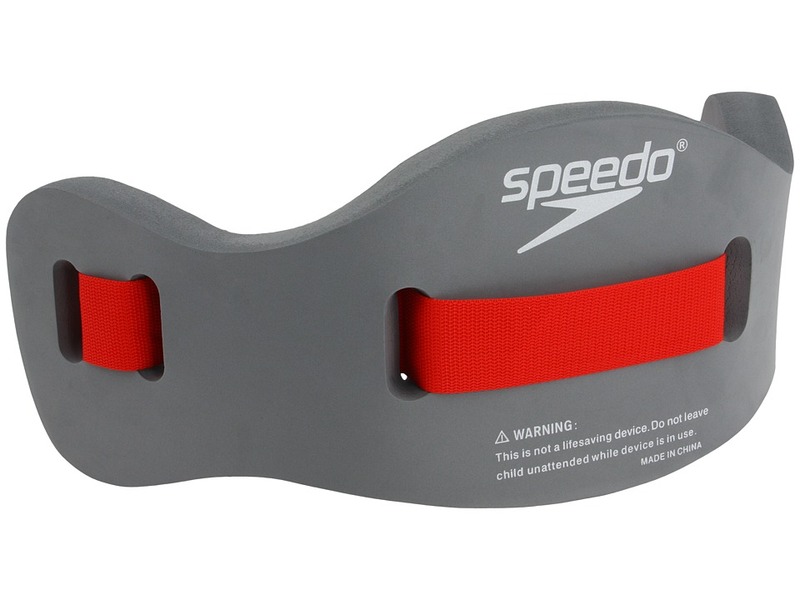 Speedo Core Compression has strategically placed mesh compression fabric to flatter your shape. Features a V-neckline, wide shoulder straps, and a scoop back. Sewn-in soft cups provide support for larger busts. Shirred midsection enhances the waistline. Flatlock seams reduce chafing and increase comfort. Fully lined. Brandmark at bottom right hem. Body: 50 percent polyester, 50 percent PBT polyester. Lining: 100 percent polyester. Power Mesh: 90 percent nylon, 10 percent spandex. Hand wash cold, line dry in shade. Imported. If you~re not fully satisfied with your purchase, you are welcome to return any unworn and unwashed items with tags intact and original packaging included. Those early morning training sessions can be brutal. 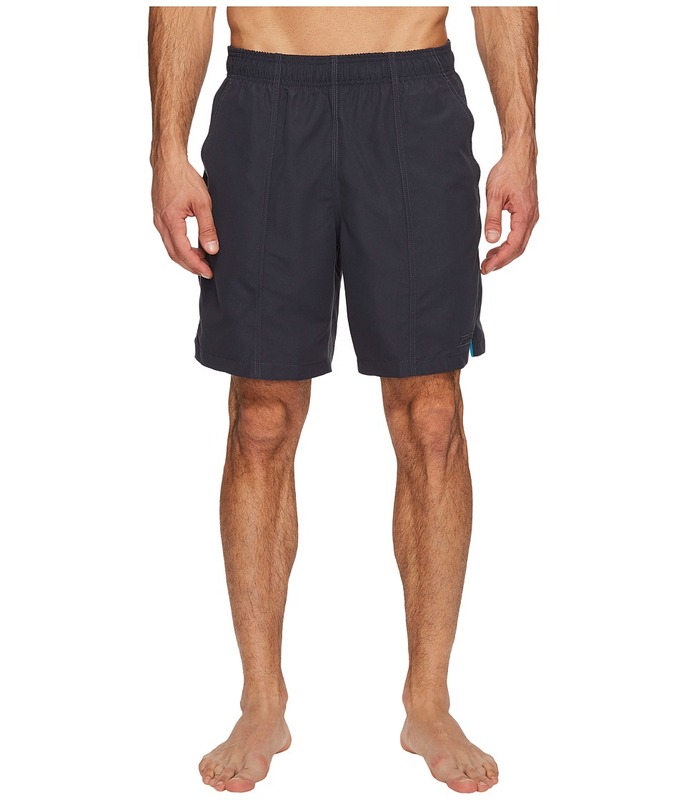 Make it a little easier on yourself in this sleek Speedo suit. 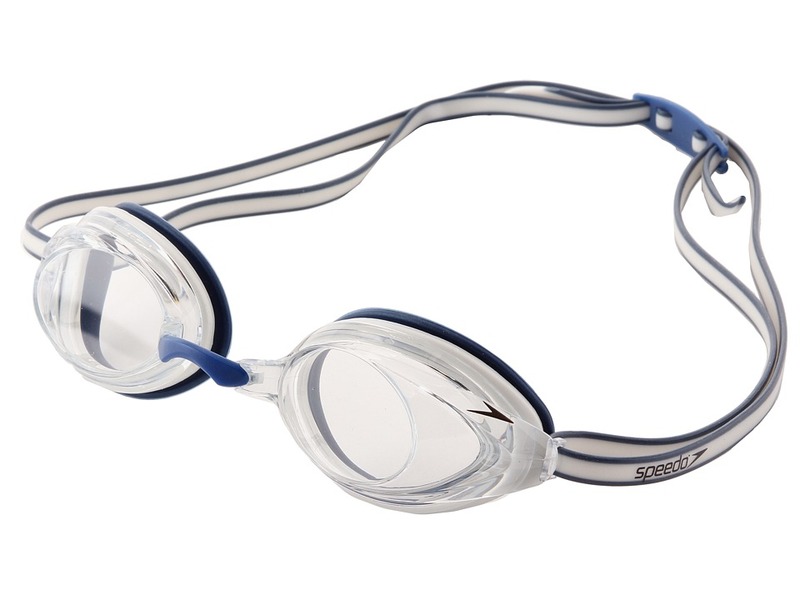 Speedo Fly Back construction has thin, streamlined straps that are reinforced with overlap binding and minimal back coverage for increased freedom of movement. Designed to last longer, Endurance+ is a 100 percent chlorine resistant, quick drying fabric that is engineered to retain its shape swim after swim. 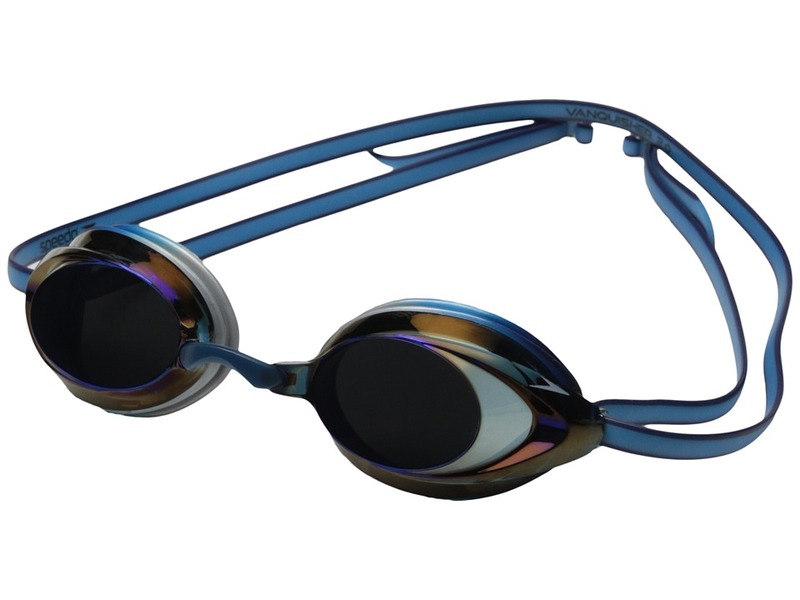 Additionally, Endurance+ offers 20 times more fade resistance than conventional swimwear fabrics and improved snag resistance. Brandmark at right hip. Body 50 percent polyester, 50 percent PBT polyester. Lining: 100 percent polyester. Hand wash cold, line dry in shade. Imported. If you~re not fully satisfied with your purchase, you are welcome to return any unworn and unwashed items with tags intact and original packaging included. Grab your paddle board and head out for an adventurous day of swim fun in the Speedo High Waist Bottom w/ Core Compression. Fitted style contours to body. Endurance+ fabric: &amp#8226 Four-way stretch fabric enhances comfort and allows a wider range of movement. &amp#8226 20 times more fade resistance than conventional swimwear fabrics. &amp#8226 Improved snag and chlorine resistance. Speedo Core Compression fabric slims and narrows for the most flattering fit. Water-resistant stretch fabric dries quickly for optimal comfort out of the water. High-waist swim bottom. Full seat coverage. Speedo detail logo at top back. 50 percent PBT, 50 percent polyester. Lining: 100 percent polyester. Machine wash cold, hang dry. Imported. If you~re not fully satisfied with your purchase, you are welcome to return any unworn and unwashed items with tags intact and original packaging included. 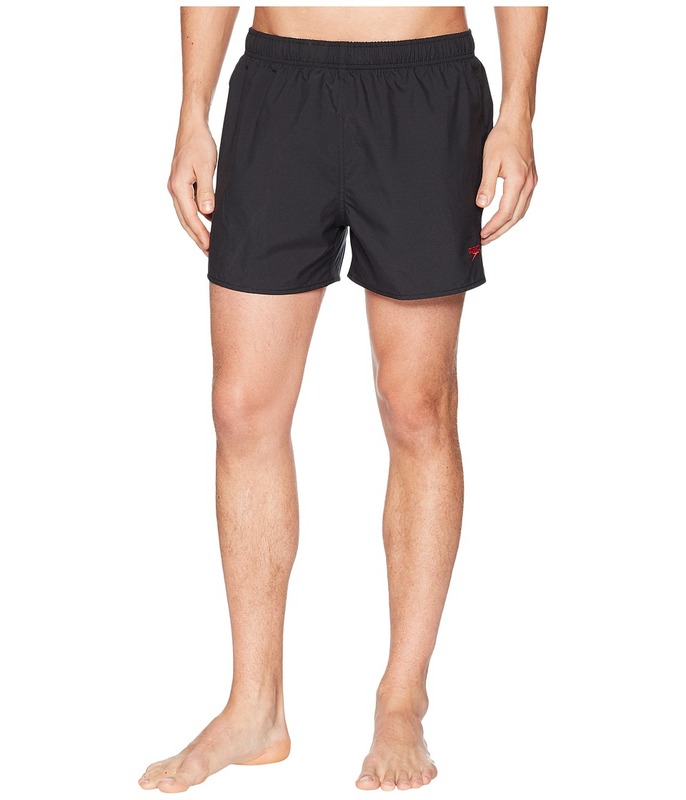 Sleek and sporty, the Speedo Solid End Swim Short is a perfect addition to the avid swimmer~s summer wardrobe. Four-way stretch fabric provides a body-hugging fit and enhances comfort to allow a wider range of movement. 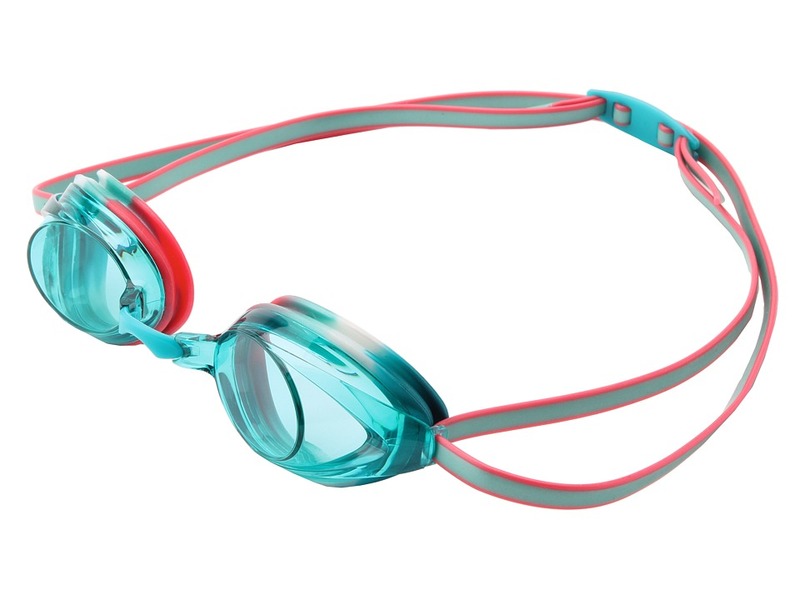 Engineered from Speedo~s Endurance+ fabric that is 100 percent chlorine-resistant, designed to last 20x longer than normal swimwear, and will retain its shape swim after swim. Sewn-in brief for additional support and comfort. Split side seam allows wider range of movement. Brand detail at bottom right hem. 50 percent polyester, 50 percent polyester PST. Lining: 100 percent polyester. Hand wash cold, line dry. Imported. Measurements: Waist Measurement: 28 in Outseam: 10 in Inseam: 2 in Front Rise: 9 in Back Rise: 13 in Leg Opening: 24 in Product measurements were taken using size 6. Please note that measurements may vary by size. If you~re not fully satisfied with your purchase, you are welcome to return any unworn and unwashed items with tags intact and original packaging included. After a full day of surfing, shrug into the Hooded Cover-Up and hop on your bike to explore the mainland. Standard fit for classic, comfortable wear. Heather knit hoodie. V-neck style. Smocked waistband provides flattering fit. Speedo logo detail at hem. 60 percent cotton, 40 percent viscose. Machine wash cold, dry flat. Imported. Measurements: Length: 33 in Product measurements were taken using size SM. Please note that measurements may vary by size.